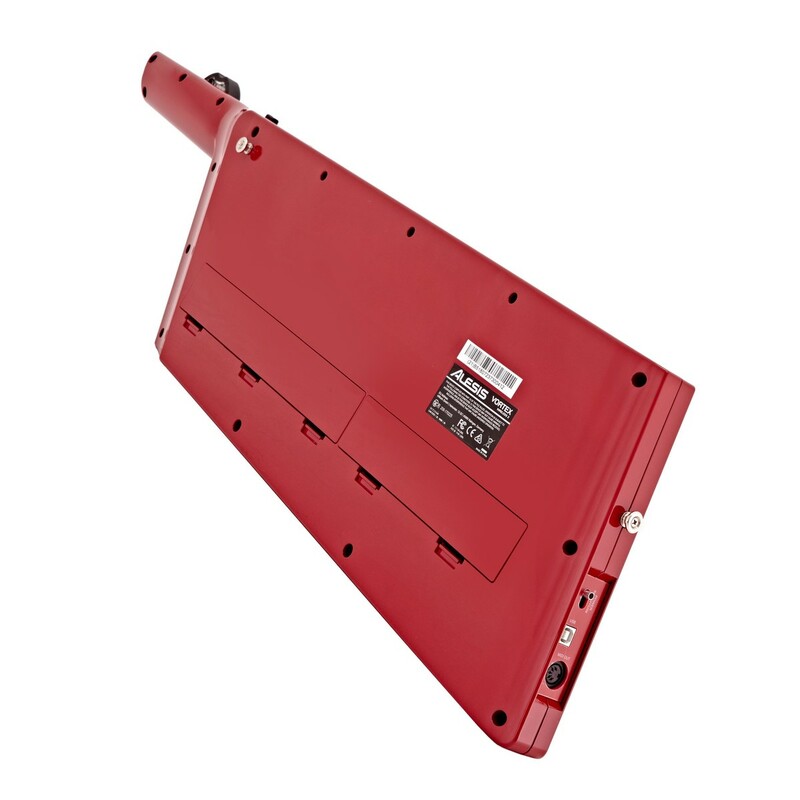 One of the world's first wireless keytars. 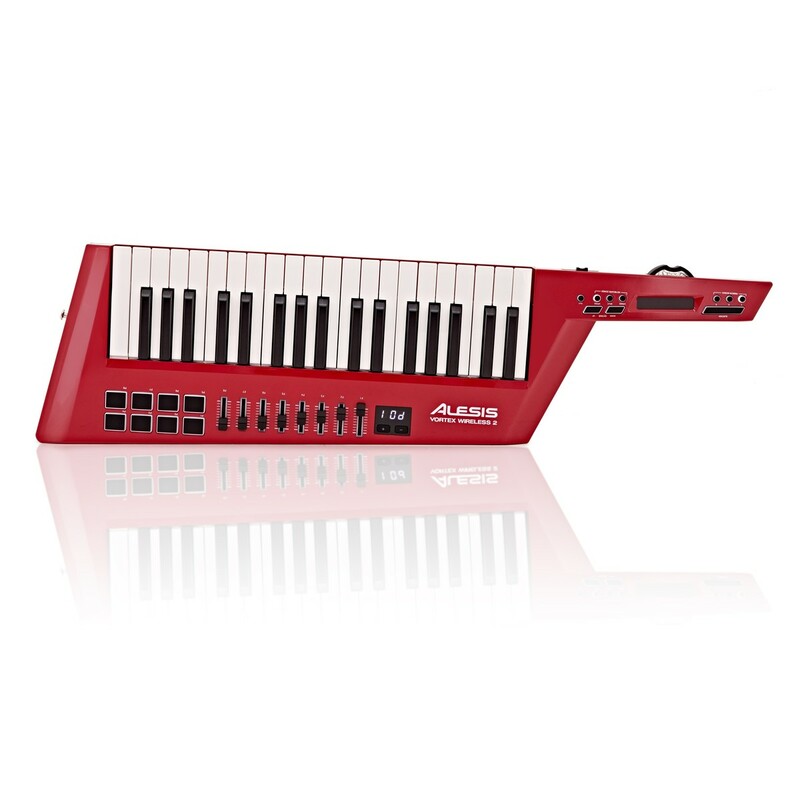 The Alesis Vortex Wireless 2 Red, Limited Edition is a USB/MIDI Keytar controller featuring integrated Bluetooth connectivity for wireless playing. The Vortex Wireless 2 features 37-velocity-sensitive keys with after-touch, providing a fluid and natural playability. 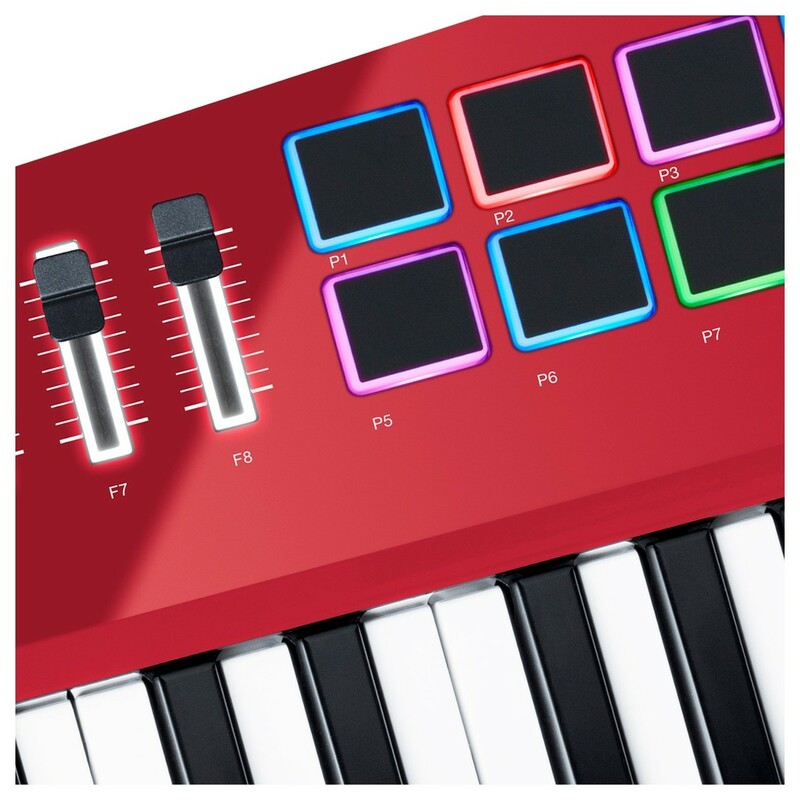 It also boasts eight RGB velocity-sensitive trigger pads, allowing you trigger samples, loops, clips and more. A volume slider and reversible pitch-bend wheel on the neck are included for performance control. Eight back-lit faders are also included for controlling volumes, automation of VSTs and more. The Alesis Vortex 2 can be powered via 4 x AA batteries or via USB bus power for added flexibility. 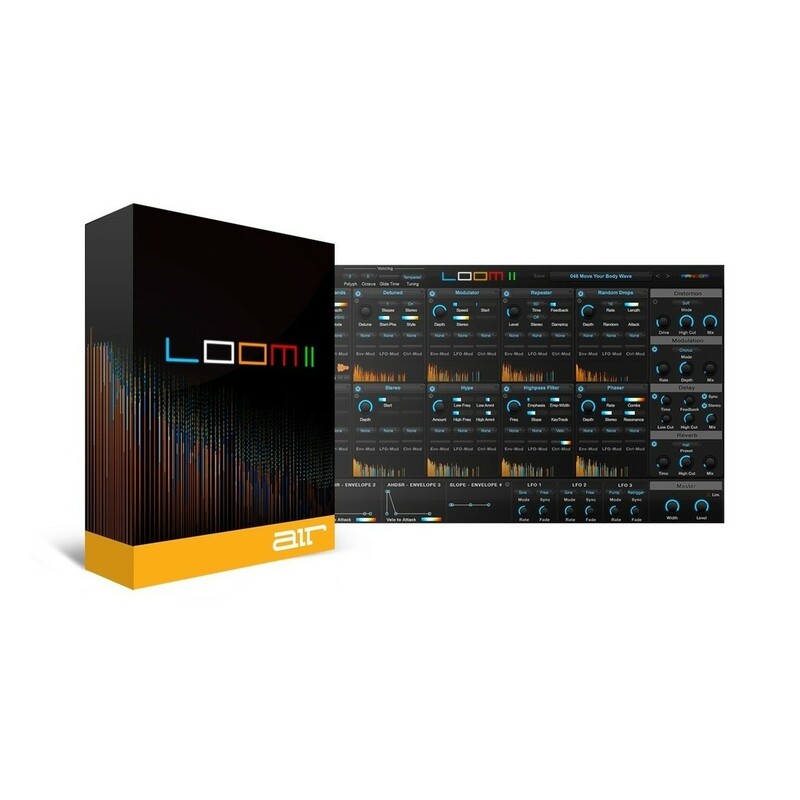 Additionally, the Vortex 2 comes complete with a range of music software including premium-grade virtual instruments. This limited edition version of the Vortex Wireless features a rich, elegant red finish. This special version of the Vortex Wireless 2 features a limited-edition red finish. 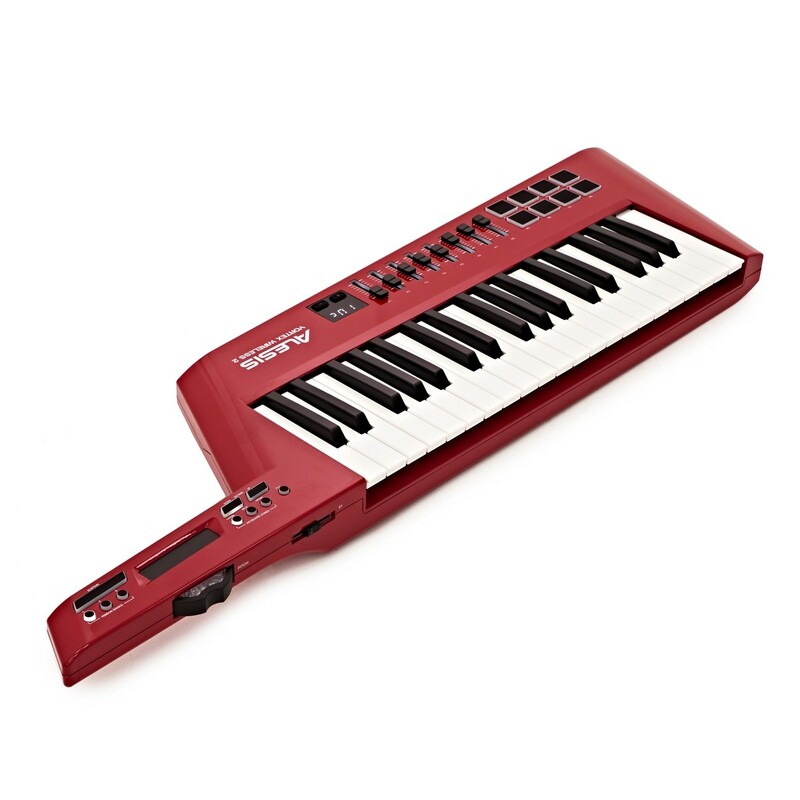 This eye-catching, deep red finish not only looks good but allows you to match your Keytar with the rest of the band. This limited edition won't be around for long though, so grab yours while you can. The Alesis Vortex Wireless 2 builds on the success of the original Vortex Wireless, refining the design as well as upgrading and enhancing various features. At the heart of the Vortex Wireless 2 Keytar is the 37-note, velocity-sensitive keybed with aftertouch, providing a complete melodic range. 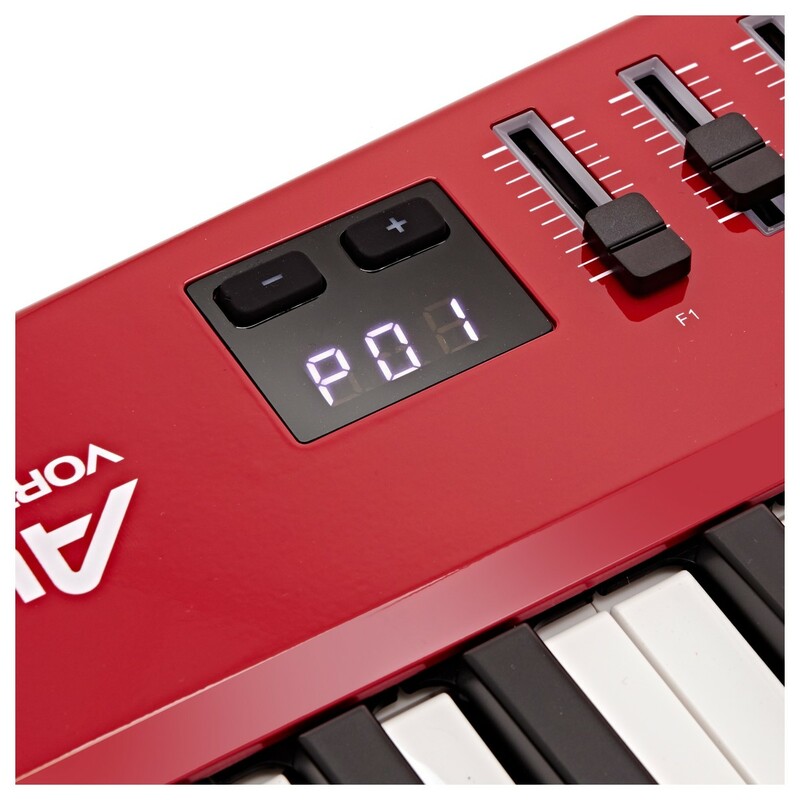 The velocity-sensitive keybed provides natural, fluid playability; providing expressive control over your sound. 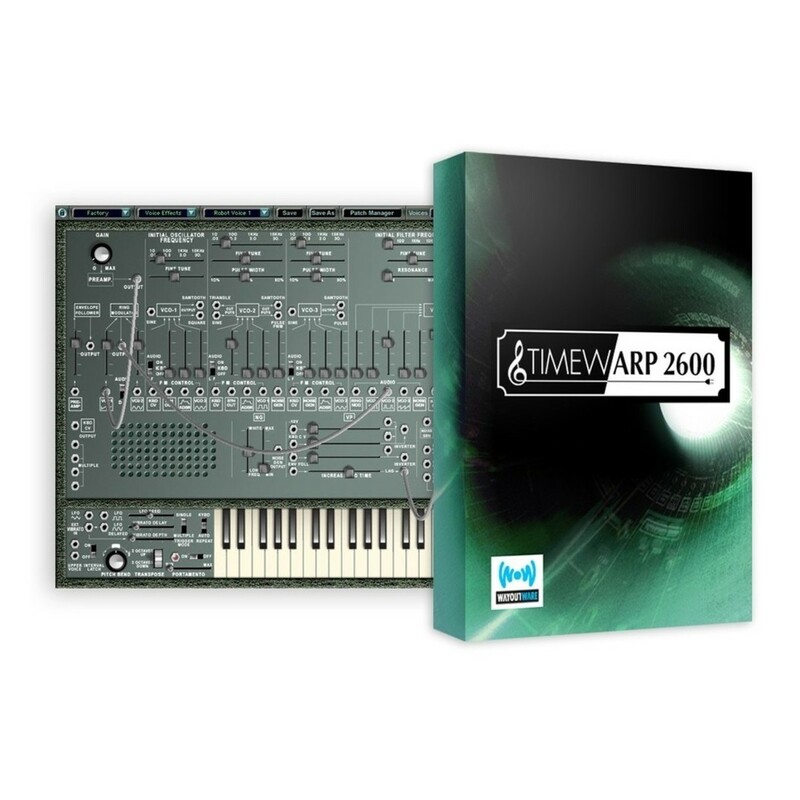 It is the ultimate live performance controller, jam-packed with features to bring out the best from your productions. It comes complete with a USB receiver for creating a wireless connection to a PC or Mac computer, as well as most keyboards with a USB host port for added flexibility. 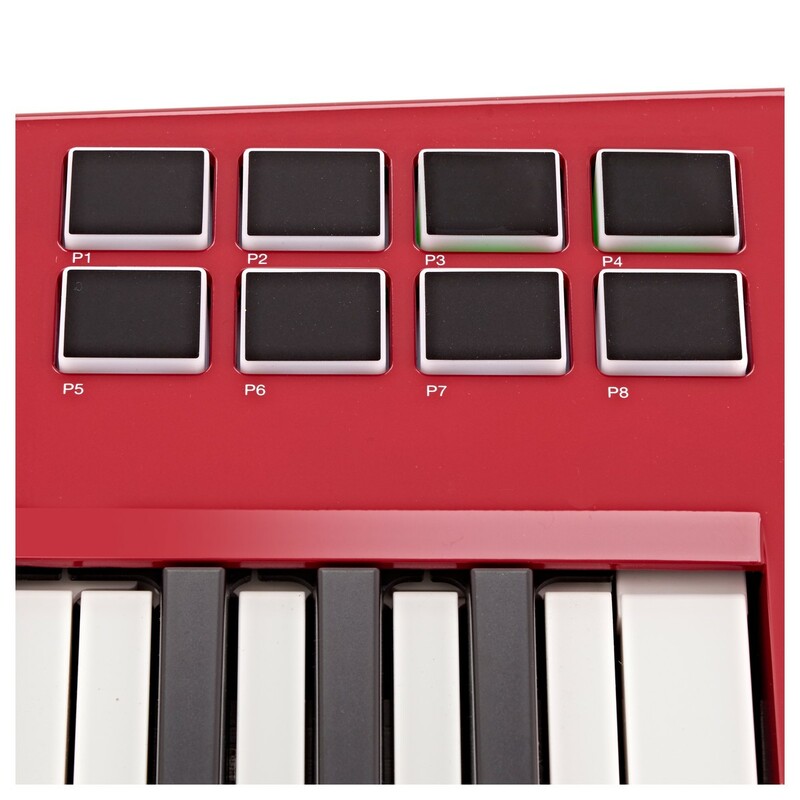 Accompanying the high-quality, expressive keybed is eight RGB back-lit velocity-sensitive trigger pads. The RGB trigger pads can be used for triggering drums, samples, vocal shots, loops, Sound FX and more. If it comes in the form of audio, it can be used during your live performances and triggered with velocity changes via the pads. The pads are also backlit in RGB colours, not only adding flare to the design but also so you can easily see and navigate them in low-light conditions. 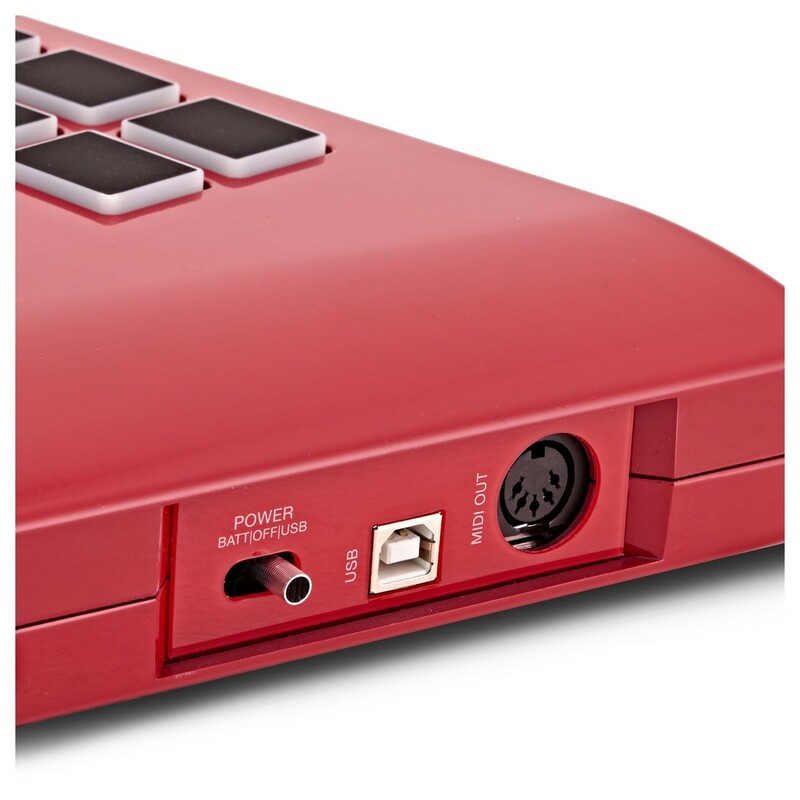 As well as the trigger pads, the Vortex Wireless 2 includes 8 MIDI-assignable back-lit faders. These faders can be used for controlling volumes or even for automation when used with virtual instrument plugins. 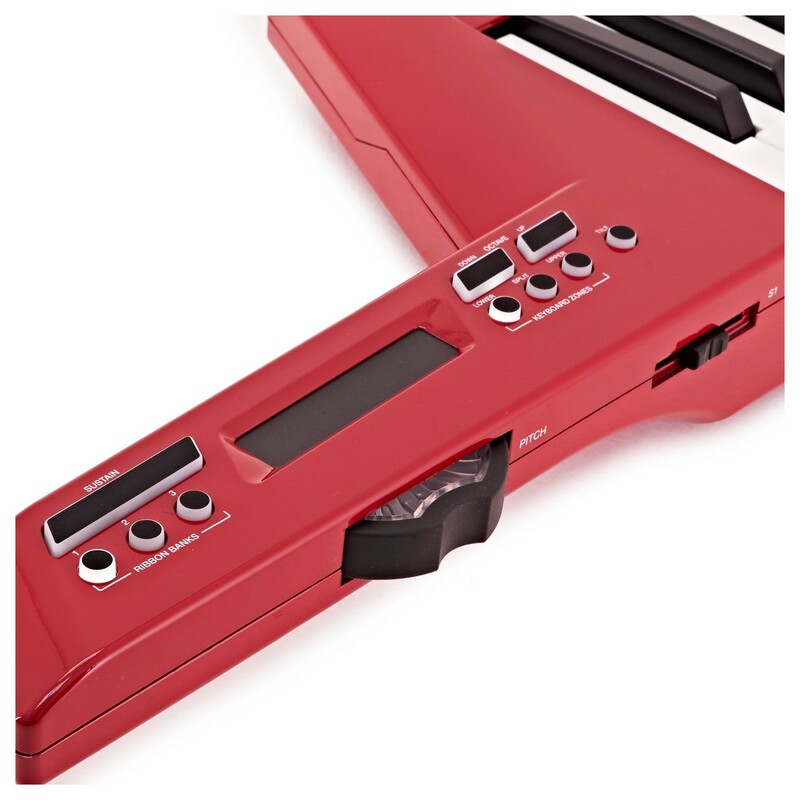 Expanding on the trigger pads and faders, the keytar also features controls located on the neck of the controller for added performance options. 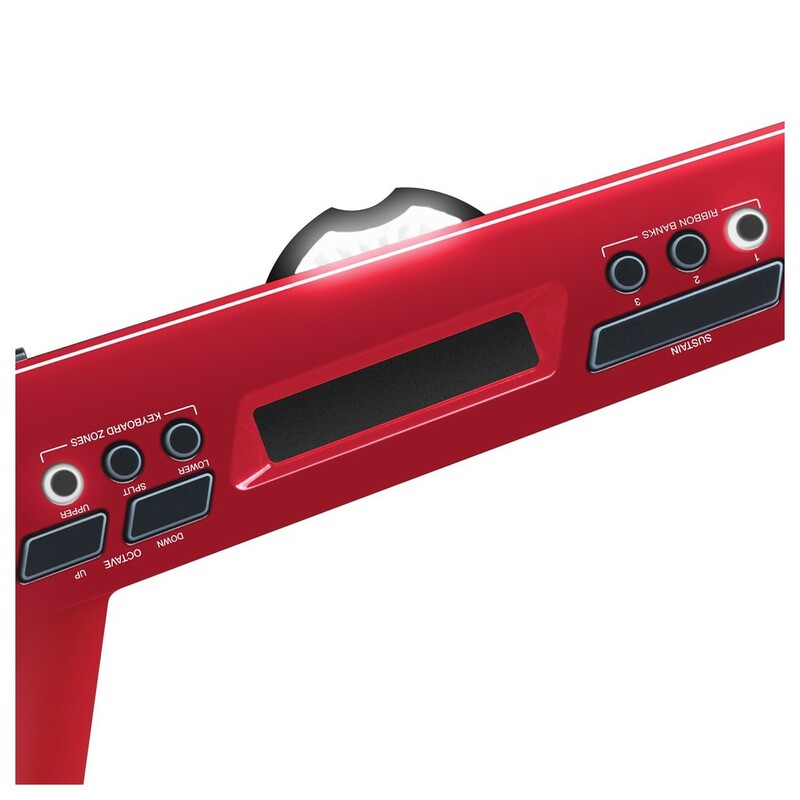 There is a MIDI-assignable touch strip which can be ideal for use with X/Y plugins, phasers and other moving effects. You can also tweak sounds with the accelerometer, which is also MIDI-assignable for use with external VSTs. 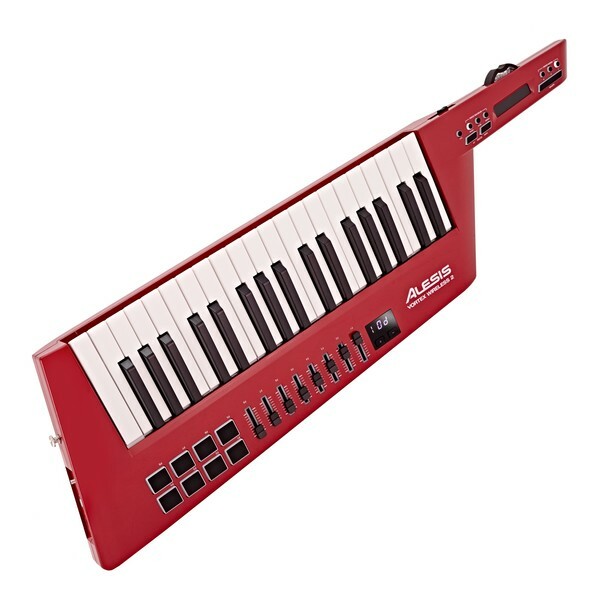 There are also octave range and sustain buttons for added versatility. To get you started straight out of the box, Alesis have included a range of premium-grade music software including virtual instruments, DAW and preset editor. 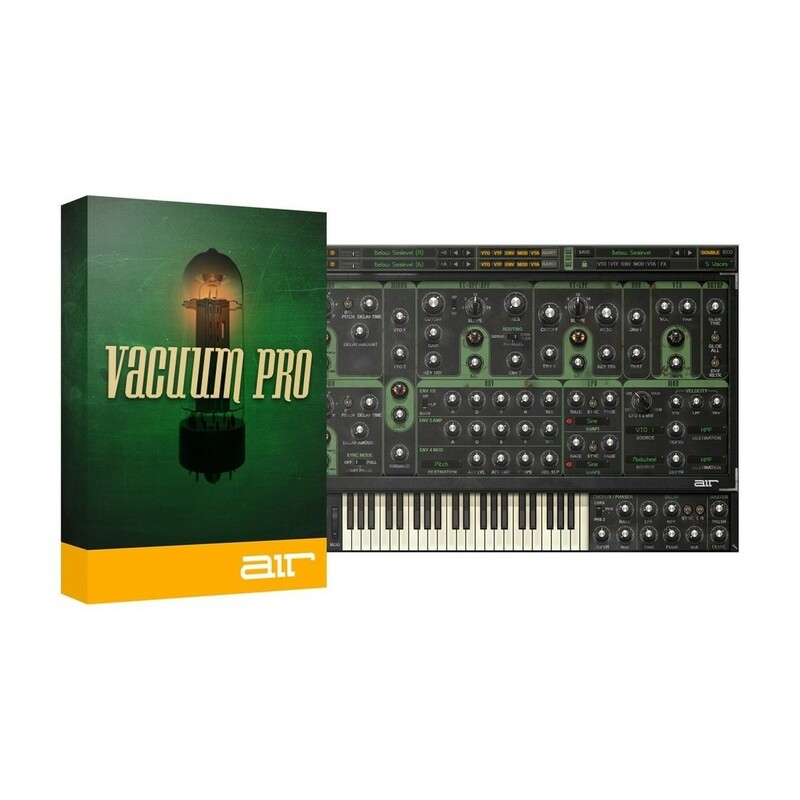 The bundle includes five high-quality virtual instruments comprised of virtual, modular and analog synthesizers, as well as a multi-timbral workstation in the form of Xpand!2. 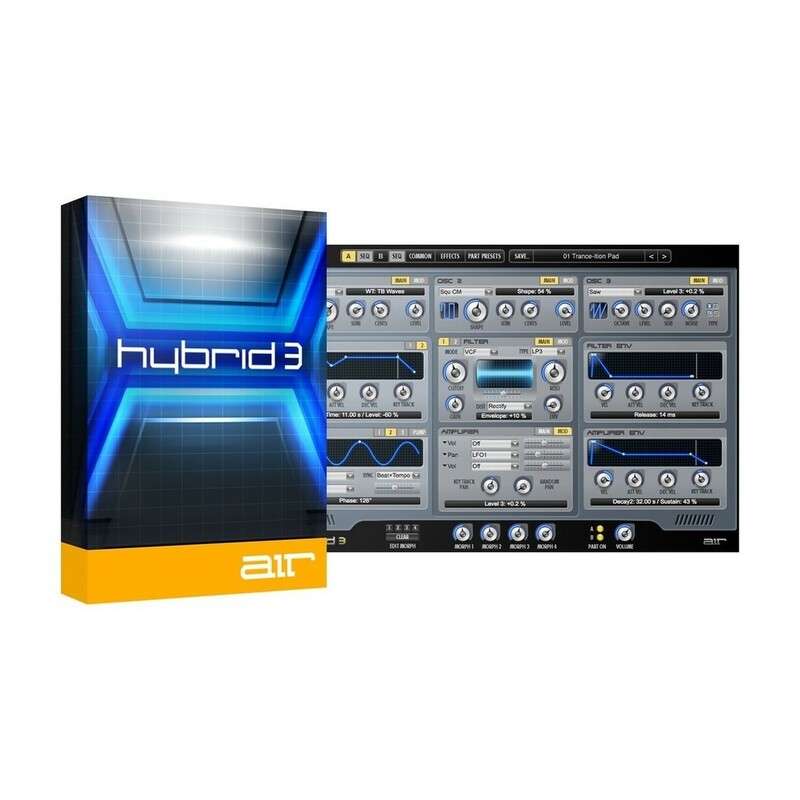 Included in this bundle is: Hybrid 3, Loom 2, Vacuum Pro, and Xpand!2 from AIR Music Tech, and TimewARP 2600 by Way Out Ware.